Oscar Robertson, Jabari Parker, Bucks owners and elected officials all scheduled to attend Back to the full release. 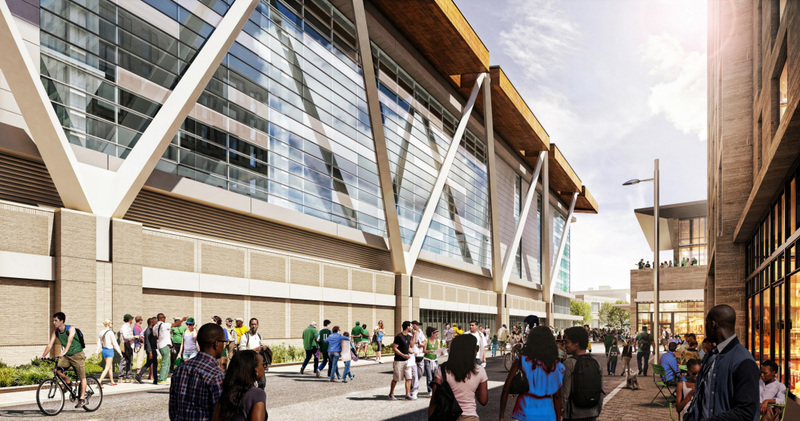 Rendering submitted by Milwaukee Bucks for DPD approval for new arena. Uploaded May 17th, 2016.